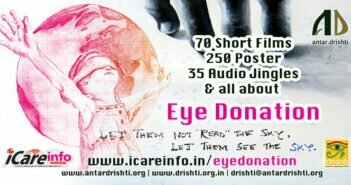 Diabetes causing complete blindness, As per the medical research surveys, more than seven crores diabetes patients are in india, among which half ratio is of women. There is a possibility of these number to be increased by ten crores by year 2030. Presently, diabetes is being considered as the disease of high society people, these disease silently trap them because of their modern way of living. Mental tension, fat, irregular eating habits especially consuming junk food and lack of exercise is the main cause of this disease. Once a person is caught by diabetes it becomes impossible to get rid of this. But by being alert and taking few precautions the diabetic patient can enjoy life. It can be kept under control by regular and balanced diet, exercise and medicines. Diabetic patient does not become blind at a time, as the sugar level increases, it affects the body organs and dullness comes. Eyes becomes so weak that diabetic patients face problems while watching TV or driving vehicles and becomes reason for blindness. 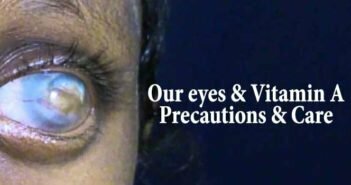 If due to any circumstances it is not possible for the timely and routine checkups, in that situation if any problem in eyes occurs patient should immediately concern doctor. In order to prevent blindness person should concern the doctor and use eye drops regularly with the increase in age. Regular eye exercise also helps in preventing blindness. There are two types of exercises, one- focusing on one object, second- through a machine which is done through doctors. Person having weak eyes or muscles are so weak , so never neglect, in that case diabetic patient should take extra care of their eyes and should go for proper treatment by consulting doctor. 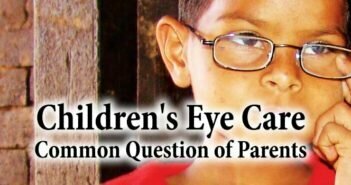 If doctor advice for spectacles, do not ignore it because of shame or any other reasons, it is required to use the spectacles as per the number instructed by doctor. They should take out of the mind that once they start wearing spectacles it will be for life time, lens can also be used. Wash the eyes properly with cold water 4-5 times in a day. Diabetic Retinopathy Screening is a key part of your diabetes care and can reduce that risk by detecting the condition early, before you notice any changes in your sight. Untreated diabetic retinopathy is the most common cause of sight loss in people of working age. When the condition is caught early, treatment is effective at reducing or preventing damage to your sight.